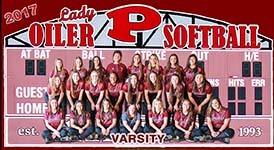 PEARLAND — The Pearland Lady Oilers were one game away from bringing home their third state softball title at the end of the 2016 season. The Lady O's were a pre-season No. 2 state-ranked team, but they have slipped to No. 23 after a 11-9 start, but the state rankings at the start of the season really don't bother veteran head coach Laneigh Clark. "They always start with a pre-season ranking, but it has no merit to me," Clark said. "There is no way we belong ranked that high and I'm not really concerned with that early in the season. It's where we finish at the end of the season that really matters." At this point in the season, Clark is still evaluating her girls and knows they need to grow together as a team and in their overall effort. "We have a great group of kids -- I can't say a single negative thing about any of them," Clark said. "But I think they just need to have a bit more passion, more heart, and a willingness to work. They need to want the ball and want to make the play." Pearland is 3-0 in the District 23-6A standings and is considered one of the favorites to capture the league title this year. But there are other teams in the district that should be very competitive including state-power Brazoswood, Dawson, and George Ranch. 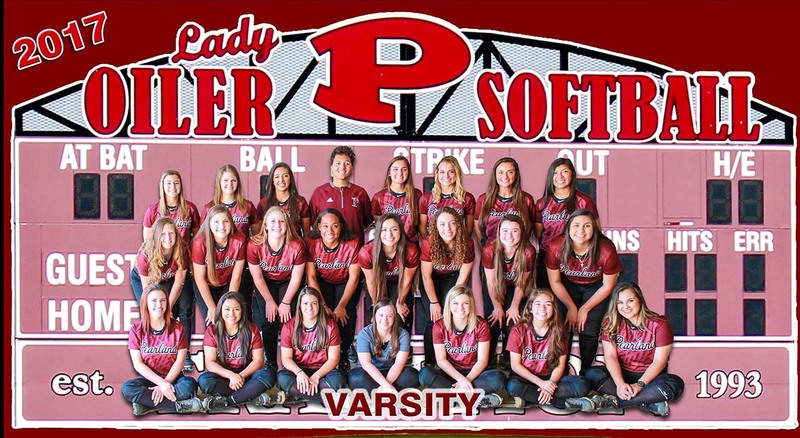 The Lady Oilers recently got wins over state-power Katy, Fort Bend Clements, FB Austin, and Angleton in the Fort Bend Ridge Point Tournament. They dropped games to Cy-Ranch and state-ranked Deer Park. "I think we have a long way to go," Clark said. "We need to play defense better and on offense, we have to execute better. We need to get bunts down, we need to slap and run, we need to move runners forward, and we need to make sure the ball is on the ground and not in the air." Clark recognizes that the Alief schools are not typically strong softball schools, so the real competition will come from the remaining district schools to make the playoffs. Brazoswood looks to be the early season favorite with the other three schools (Pearland, Dawson, George Ranch) making up the other teams that will extend their season in the post-season. "I think the one key to our season is for the girls to get mentally stronger," Clark said. "We're going to have to be a lot more intense if we are going to go as deep in the playoffs as we normally do. I think the girls just need to buy in more and be more serious about their play."